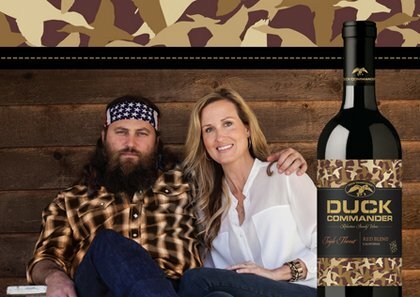 Duck Dynasty’s Willie Robertson announced that Duck Commander Wines will hit stores this month. According to People magazine, the Robertsons have partnered with the winemakers of the Trinchero Family Estates in Napa. They offer the Triple Threat Red Blend, Miss Priss Pink Moscato, and Wood Duck Chardonnay with bottles decked out in camo-inspired labels. Willie Robertson said he wants to prove that wine can be delicious and affordable at a price under $10 a bottle.